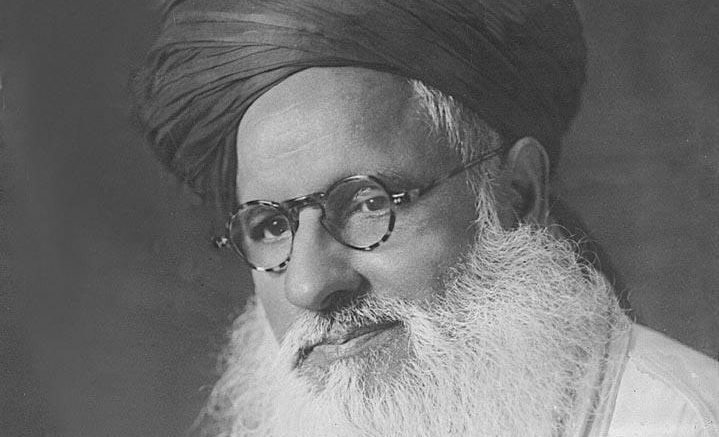 Maulana Abdul Aleem Siddiqui visit to Trinidad in 1950 accompanied by his student and secretary, Dr. Muhammad Fazlur Rahman Ansari al-Qadiri, lasted for six months as part of his world tour. The presence of His Eminence for such as sustained and intensive period had a profound impact on Islam in the West Indies and indeed it created a generation of highly skilled Muslim Theologians, Imams, leaders and intellectuals most of whom became the spiritual disciples (murideen) of His Eminence. The work of World Islamic Mission (WIM) in Trinidad began with the arrival of His Eminence Maulana Shah Abdul Aleem Siddiqui al-Qadiri at the opening of the Intercolonial Muslim Conference, held at the Jama Masjid Hall, Queens Street, Port of Spain in 1950. Shaykh Maulana Shah Muhammad Abdul Aleem Siddique al Qadiri (R.A) next to his son, Maulana Shah Ahmad Noorani Siddique al-Qadiri (R.A) . H.I. Hussein-Ali (Treasurer – Suriname). The welcome function for His Eminence was held at Queen’s Park Savannah on Sun. March 12th 1950. 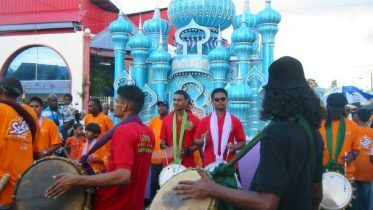 Many thousands attended – Muslims and non-Muslims. In the audience there were government representatives and members of the diplomatic corp. At this event a soul stirring recitation of al-Qur’an was rendered by Br. Ali Bin Khamis of Zanzibar who then became a regular at His Eminence’s gatherings. Another regular was Br. Jameel Bin Ahmed of Malay (now Malaysia). Both were students at the Imperial College of Tropical Agriculture at St. Augustine (now part of the University of West Indies). After graduating they returned to their respective countries and both became highly acclaimed leaders. 1. Hundreds of non-muslims embraced Islam. Prominent amongst them were Haji Yusuf Mitchell, Ahmed Rifae Scope, Abu Bakr (a humble shoe maker of Santa Cruz) and Sr. Muriel Donawa Mc Davidson. 2. His Eminence’s lectures captivated Muslims, Christians, and Hindus who paid glowing tributes to him as the “Roving Ambassador of Peace”. Be the first to comment on "His Eminence Maulana Shah Abdul Aleem Siddiqui (Rahmatullah Alaih)"